In this study, it was aimed to investigate the effect of L-carnitine supplements on weight loss and body composition of taekwondo players. Sixteen voluntary male athletes, aged 18-28, were participated in this study. Athletes were divided into two groups as experiment (supplement) (n=8) and placebo (n=8). First of all, the body of the athletes was analyzed using the body composition analyzer. After these analyzes were made, for 7 days, the experimental group used carnitine and the placebo group used wheat bran. After 7 days of nutrient supplementation, the analyzes performed at the beginning of the study were repeated. The body fat percentage of the placebo group was found to be significantly lower than the post-training values (p<0.05) and the change in fat mass values was not statistically significant (p>0.05). When the intra-group pre- and post-test body composition values of the L-carnitine group were compared, the post-test averages of skeletal muscle weight, total body water and metabolic rate increased statistically significantly compared to the pre-test averages (p<0.05) and there was a statistically significant decrease in the body fat mass and percentage (p<0.05). There was no significant difference in body weight and BMI (p>0.05). L-carnitine and placebo groups showed no significant difference in body composition according to Independent Sample T test results (p>0.05). It was seen that pre-training L-carnitine consumption helped the athletes to maintain optimal body weight and increased fat oxidation during exercise by activating fat metabolism and positively affected fat mass reduction. Aoki, M. S., Almeida, A. L. R. A., Navarro, F., Costa-Rosa, L. F. B. P., & Bacurau, R. F. P. (2004). Carnitine supplementation fails to maximize fat mass loss induced by endurance training in rats. Annals of nutrition and metabolism, 48(2), 90-94. Brass, E. P., & Hiatt, W. R. (1998). The role of carnitine and carnitine supplementation during exercise in man and in individuals with special needs. Journal of the American College of Nutrition, 17(3), 207-215. Center, S. A., Harte, J., Watrous, D., Reynolds, A., Watson, T. D. G., Markwell, P. J., ... & Erb, H. N. (2000). The clinical and metabolic effects of rapid weight loss in obese pet cats and the influence of supplemental oral L‐carnitine. Journal of veterinary internal medicine, 14(6), 598-608. Close, G. L., Hamilton, D. L., Philp, A., Burke, L. M., & Morton, J. P. (2016). New strategies in sport nutrition to increase exercise performance. Free Radical Biology and Medicine, 98, 144-158. Colombani, P., Wenk, C., Kunz, I., Krähenbühl, S., Kuhnt, M., Arnold, M., ... & Langhans, W. (1996). Effects of L-carnitine supplementation on physical performance and energy metabolism of endurance-trained athletes: a double-blind crossover field study. European journal of applied physiology and occupational physiology, 73(5), 434-439. Deniz, G. (1999). Karnitin: Sentez, Metabolizma, Fonksiyon Ve İskemik Kalpte Terapötik Önemi. Turkiye Klinikleri Journal of Medical Sciences, 19(1), 55-62. Eckerson, J. M. (2015). Weight loss nutritional supplements. In Nutritional Supplements in Sports and Exercise (pp. 159-185). Springer, Cham. Greig, C. F. K. M., Finch, K. M., Jones, D. A., Cooper, M., Sargeant, A. J., & Forte, C. A. (1987). The effect of oral supplementation with L-carnitine on maximum and submaximum exercise capacity. European journal of applied physiology and occupational physiology, 56(4), 457-460. Kim, J. H., Pan, J. H., Lee, E. S., & Kim, Y. J. (2015). L-Carnitine enhances exercise endurance capacity by promoting muscle oxidative metabolism in mice. Biochemical and biophysical research communications, 464(2), 568-573. Kraemer, W. J., Volek, J. S., & Dunn-Lewis, C. (2008). L-carnitine supplementation: influence upon physiological function. Current sports medicine reports, 7(4), 218-223. Owen, K. Q., Nelssen, J. L., Goodband, R. D., Tokach, M. D., & Friesen, K. G. (2001). Effect of dietary L-carnitine on growth performance and body composition in nursery and growing-finishing pigs. Journal of animal science, 79(6), 1509-1515. Owen, K. Q., Nelssen, J. L., Goodband, R. D., Weeden, T. L., & Blum, S. A. (1996). Effect of L-carnitine and soybean oil on growth performance and body composition of early-weaned pigs. Journal of Animal Science, 74(7), 1612-1619. Pandareesh, M. D., & Anand, T. (2013). Ergogenic effect of dietary L-carnitine and fat supplementation against exercise induced physical fatigue in Wistar rats. Journal of physiology and biochemistry, 69(4), 799-809. Pehlivan, A. (2012). Ergojenik Yardım-1: Vitaminler, Mineraller ve Antioksidanlar. TFF Futbol Gelişim Bülten, 4: 80-84. Sarıoğlu, Ö., İmamoğlu, O., Atan, T., Türkmen, M., & Akyol, P. (2012). Beden eğitimi bölümünde okuyan farklı branşlardaki öğrencilerin beslenme alışkanlıklarının incelenmesi. 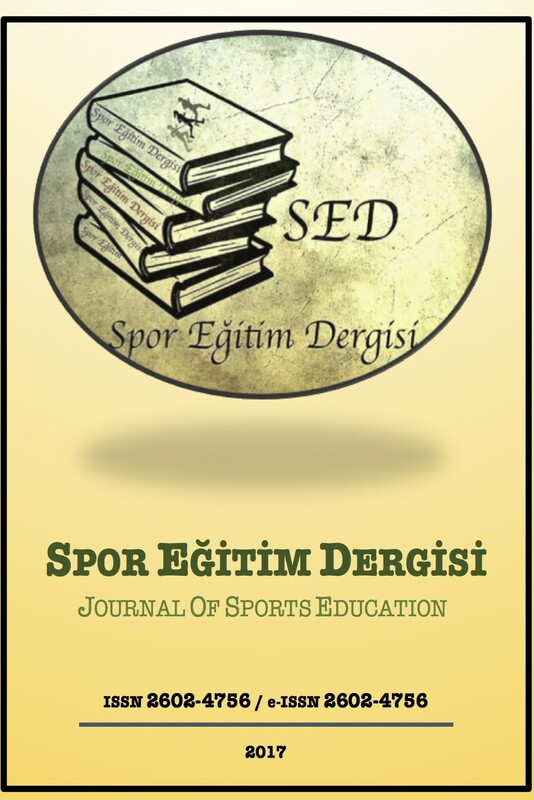 Selçuk Üniversitesi Beden Eğitimi Ve Spor Bilim Dergisi, 14(1), 88-94. Seim, H., Kiess, W., & Richter, T. (2002). Effects of oral L-carnitine supplementation on in vivo long-chain fatty acid oxidation in healthy adults. Metabolism-Clinical and Experimental, 51(11), 1389-1391. Smith, W. A., Fry, A. C., Tschume, L. C., & Bloomer, R. J. (2008). Effect of glycine propionyl-L-carnitine on aerobic and anaerobic exercise performance. International journal of sport nutrition and exercise metabolism, 18(1), 19-36. Şen, İ., Öztaşyonar, Y., & Atasever, M. (2003). Besinlerin glisemik indeksi ve sporcuların beslenmesi. Journal of Physical Education and Sport Sciences, 5(2). Vecchiet, L., Di Lisa, F., Pieralisi, G., Ripari, P., Menabo, R., Giamberardino, M. A., & Siliprandi, N. (1990). Influence of L-carnitine administration on maximal physical exercise. European journal of applied physiology and occupational physiology, 61(5-6), 486-490. Villani, R. G., Gannon, J., Self, M., & Rich, P. A. (2000). L-Carnitine supplementation combined with aerobic training does not promote weight loss in moderately obese women. International journal of sport nutrition and exercise metabolism, 10(2), 199-207. Wutzke, K. D., & Lorenz, H. (2004). The effect of l-carnitine on fat oxidation, protein turnover, and body composition in slightly overweight subjects. Metabolism, 53(8), 1002-1006.